There’s something so rejuvenating about taking a whole day to focus on yourself. That sounds terribly narcissistic but it’s true; how can you keep everything else ticking over smoothly and take care of everyone around you if you haven’t taken care of number 1? Self-care and mindfulness are obviously huge talking points at the moment, but I don’t think it’s just a fad either. I believe it’s a sign that society is finally understanding more about mental health, and how we can all get the most out of life! 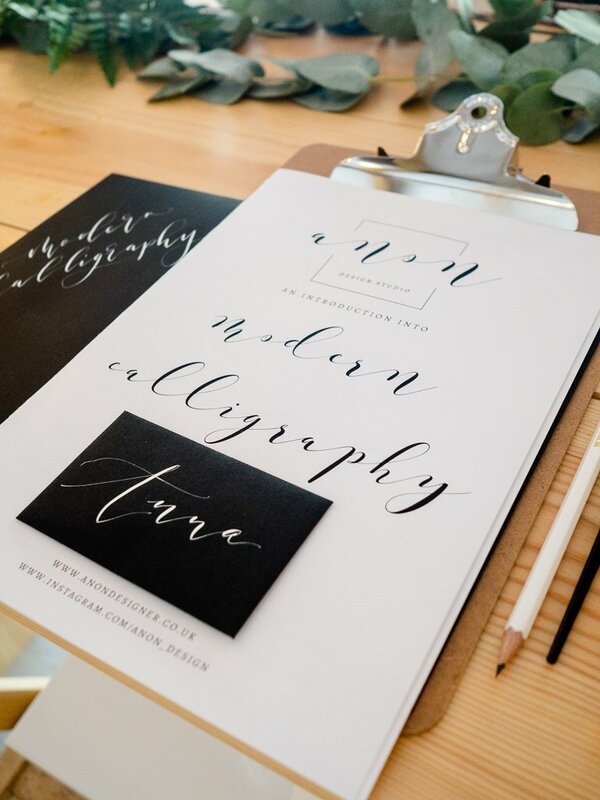 Anon Design Studio are a branding, stationary design and calligraphy company based in Plymouth, who also offer calligraphy workshops around Devon and Cornwall too. 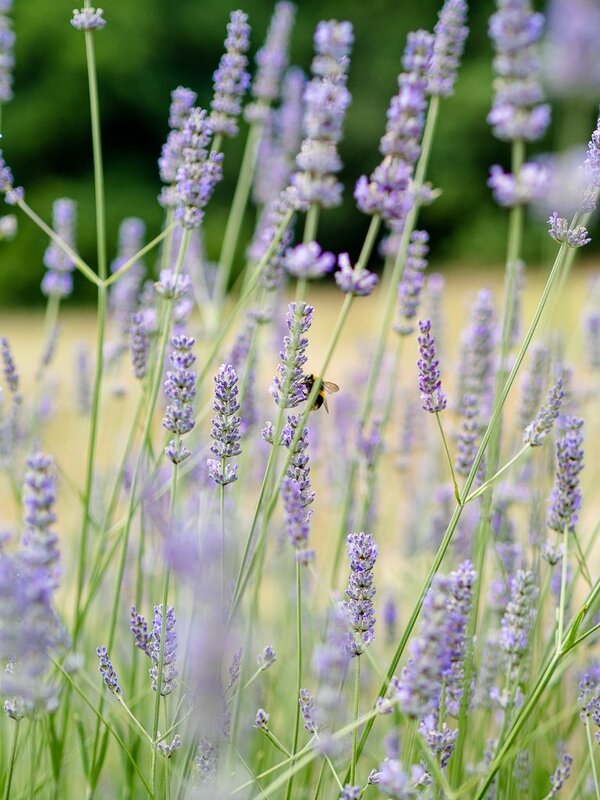 Due to their popularity, owners Lyndsey and Erica have recently launched full day retreats, all focused around mindfulness and being present. I was very much looking forward to coming along to their most recent retreat at Pengenna Manor, and even more excited when I received my invitation in the post! 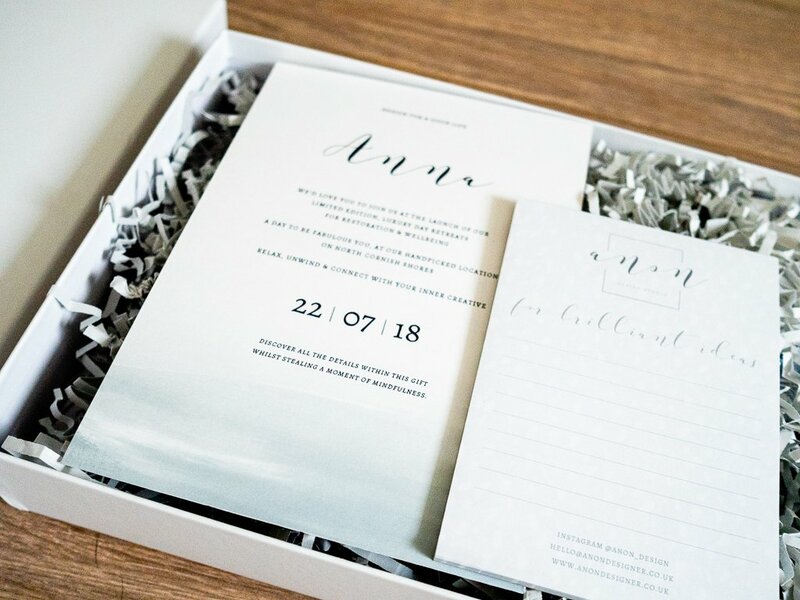 Arriving in a beautifully minimal white box, my invite was delivered in style along with a selection of other goodies, all in the theme of encouraging you to stop and take a moment of peace for yourself. A truly amazing surprise! 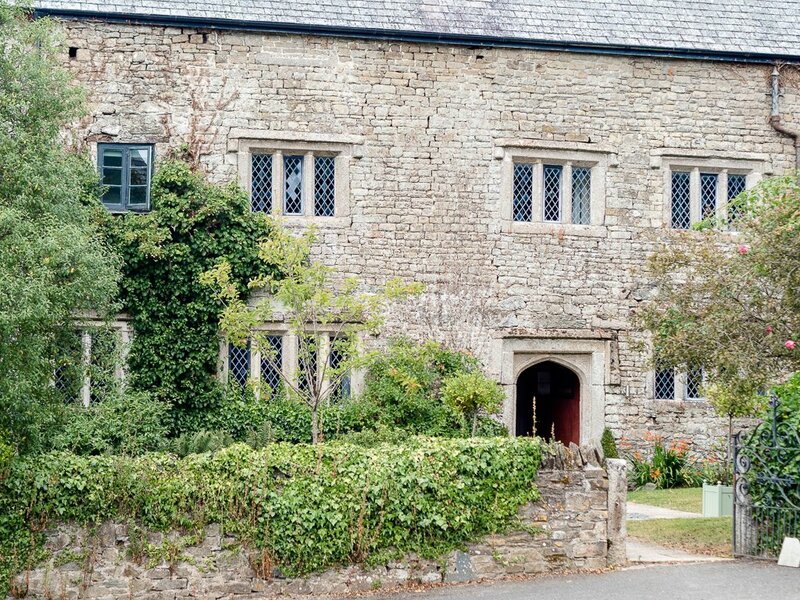 The day arrived and I headed up to the North Coast near Wadebridge to the retreat venue; Pengenna Manor. 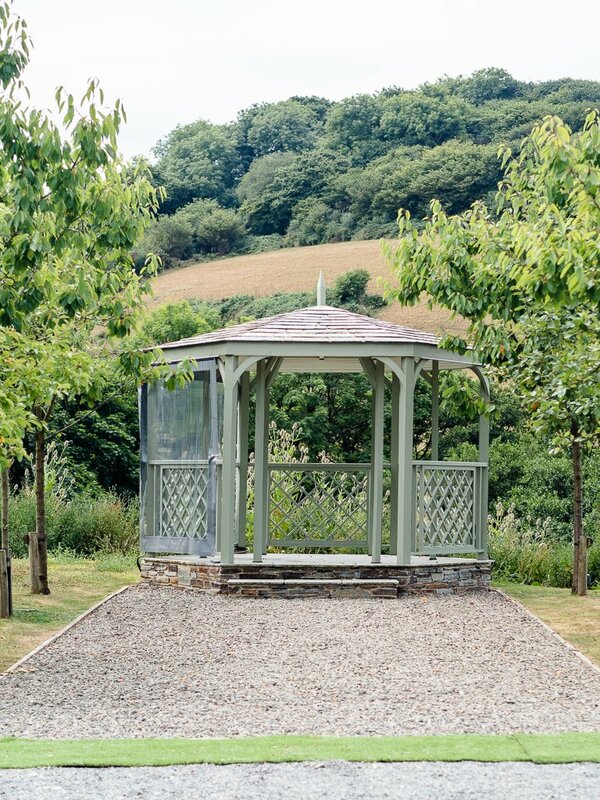 Situated within 300 acres of beautiful Cornish countryside, this 800 year old private manor house is available to hire for weddings and events throughout the year, and you can totally sense what a stunning location it would be for a wedding too! 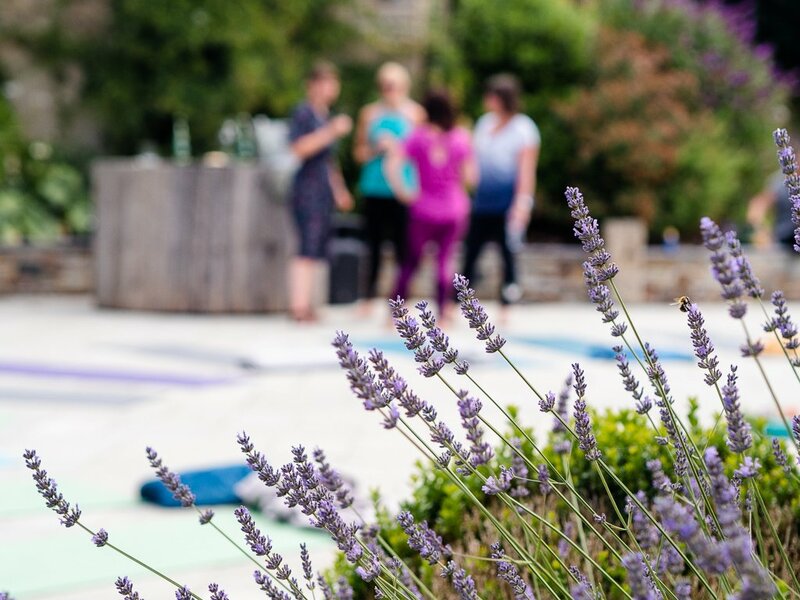 Our first order of the day was a 90 minute session of outdoor yoga on the terrace area, with inspiring views of the valley and woodlands surrounding us. It was a lovely warm and peaceful day, and it felt so good to be practicing yoga outside with some sunshine and a warm breeze. I was a little apprehensive about a 1 1/2 hour yoga session – I can usually only manage about 30 minutes of concentration before I get bored. However, the morning absolutely flew by, it was crazy! Our instructor, Amy from Next Wave Yoga (they offer weekly classes in Newquay if you’re interested! ), was fantastic and took us through a super calming Hatha routine that was slow-paced and exactly what we all needed to get into a focused, tranquil headspace for the day. After yoga, we had about half an hour to relax while the Pengenna Manor team prepared our lunch. This was the perfect opportunity to wander around the gardens, take some photos and chat to people. 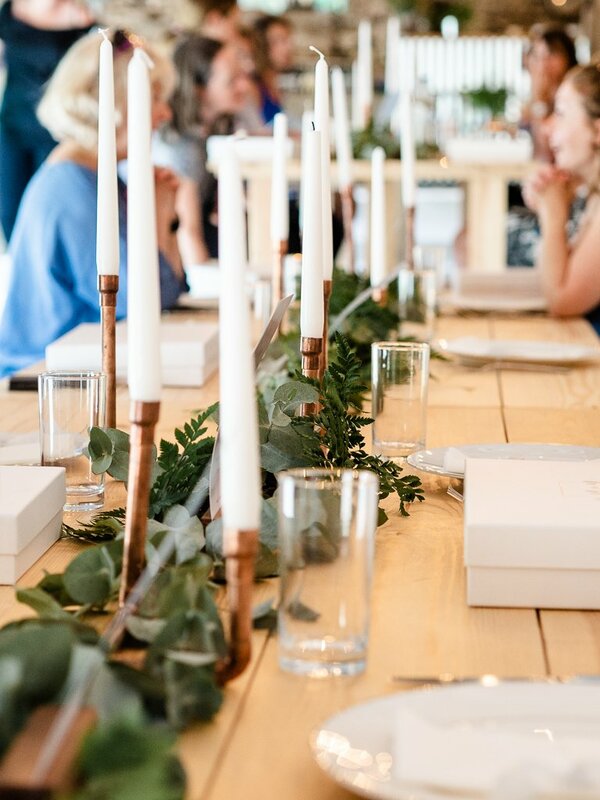 Lunch was set up in the restored barn, and had been carefully decorated with greenery, candles and branded note cards by Lyndsey and Erica. 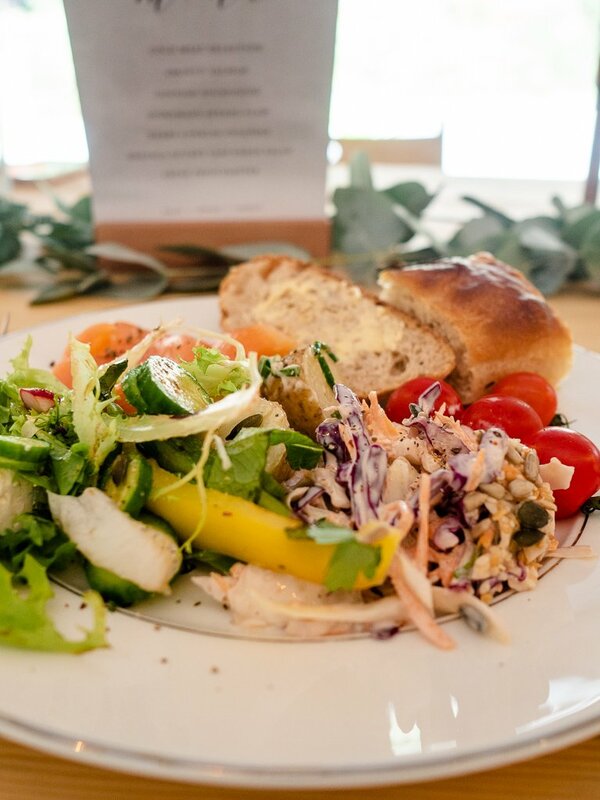 In the spirit of nurturing yourself, inside and out, we were treated to a delicious and nutritious lunch of salads, salmon and fresh fruit. 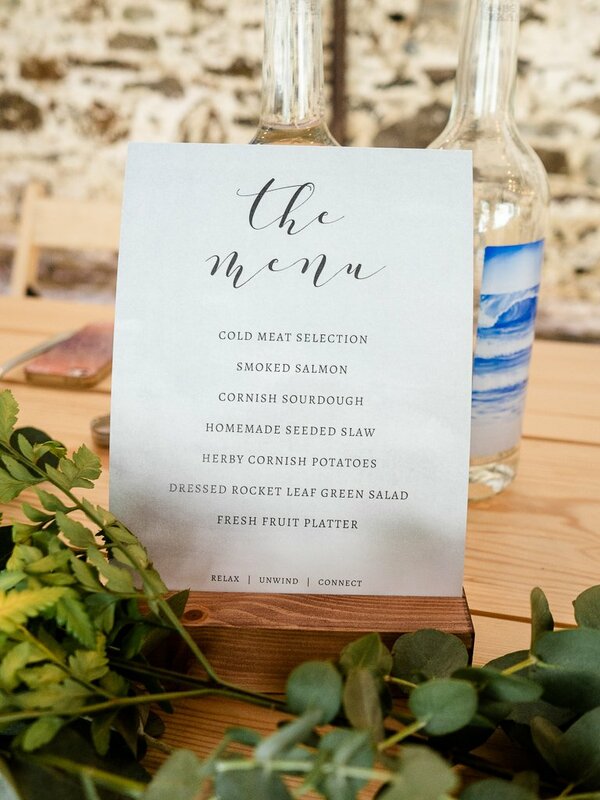 We all chatted over our lunch, sat along two large trestle feasting tables, and went back outside in the sunshine to allow the girls to set up for our afternoon calligraphy class. There was an optional short 20 minute countryside walk on offer during this time, but I actually spent these few moments sat out on the grass reading a book – something I really only ever do when abroad on holiday! I have wanted to try my hand at modern calligraphy for a couple of years. I suppose that’s when it kind of came into mainstream fashion, creeping into wedding Pinterest boards and becoming a desirable logo trend. It’s also incredibly therapeutic to watch videos of people writing in calligraphy on Instagram and YouTube! 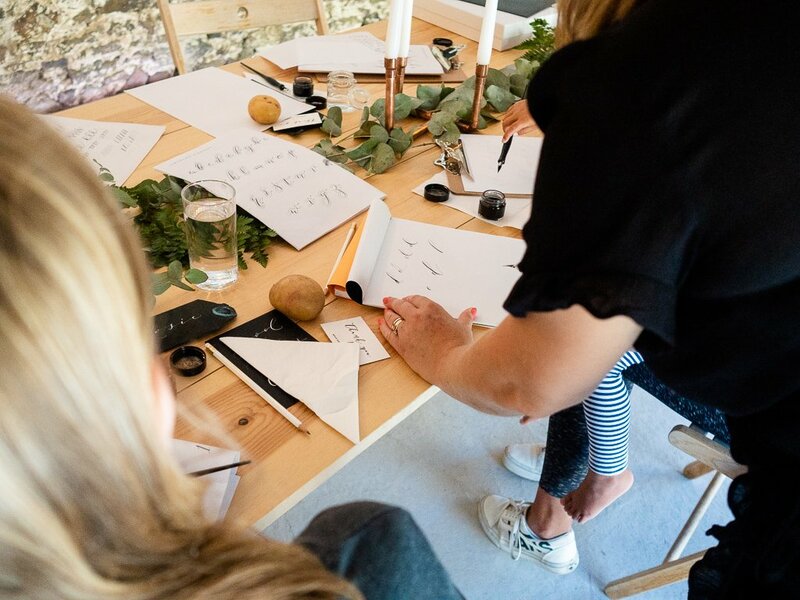 Lyndsey lead the class, talking through the basics of calligraphy equipment and the types of inks and papers, and showing us how to set up our space. Each of us had a ‘get started’ pack in front of us, with tracing paper, guidelines and ‘drills’ to copy out and start practicing, and Lyndsey took time to walk around to each of us to help us get in the flow of things. We spent around 2 and a half hours practicing our lettering, trying out different inks and creating words of our own. It was great for focusing the mind and I found it very satisfying as you watch yourself improve. I love that we got to take away our own starter kit from the day so we could easily continue to practice at home as well. 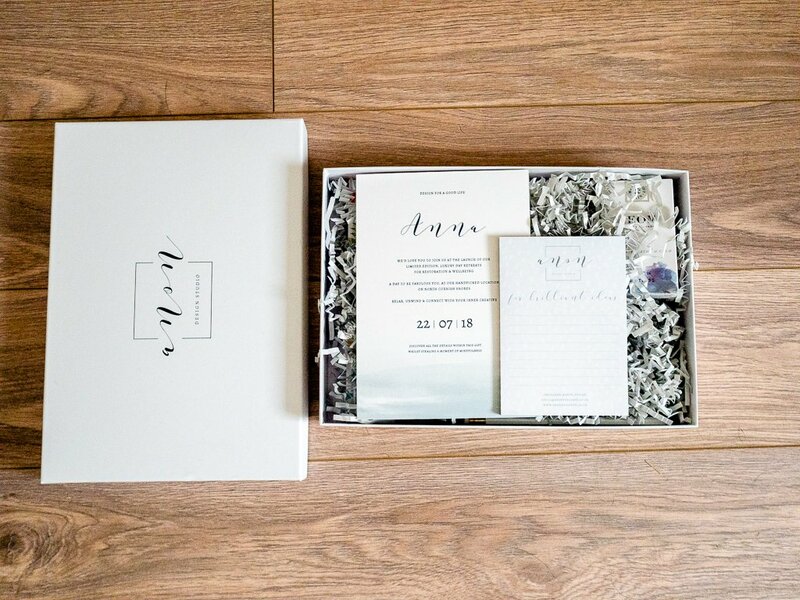 The day came to an end with generous amounts of cake and admiration of each others work, and the Anon girls even sent us away with another gift box of goodies to make sure we came away from the day remembering to stay mindful and take time for ourselves each day. I was so impressed with how much thought and care had gone into each detail of the event, and both Lyndsey and Erica were so lovely as well. 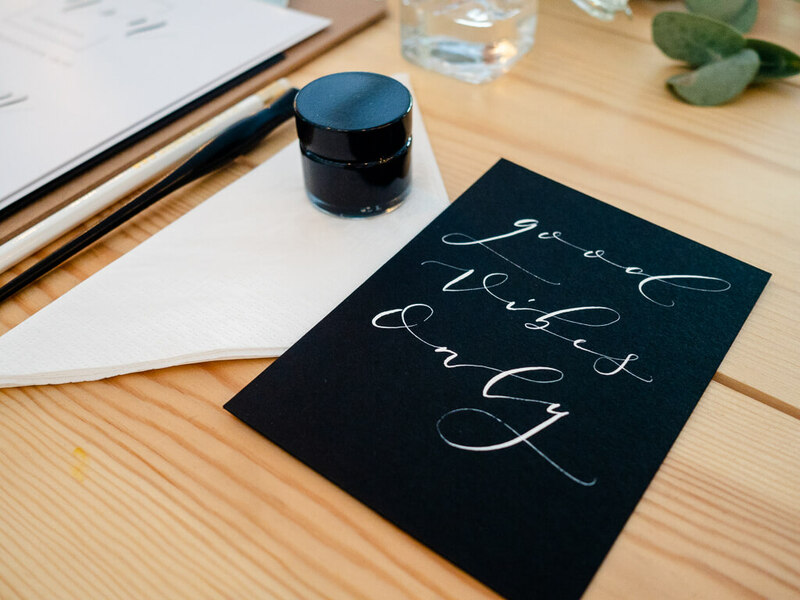 If you’re interested in getting started with calligraphy and having a treat day for yourself (or perhaps to spoil someone you know would love something like this!) 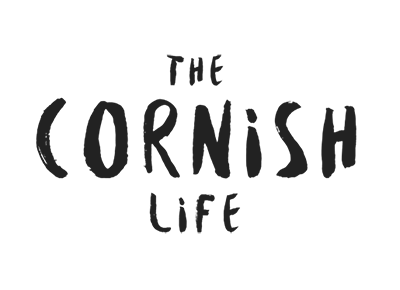 I’d highly recommend taking a look at their upcoming workshops on the Anon website. 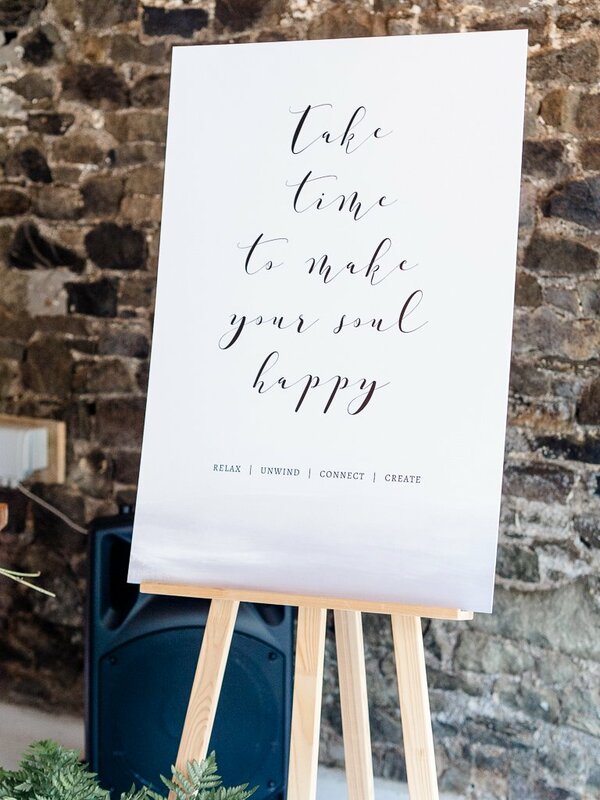 Their next Yoga & Calligraphy retreat is on 10th November at Watergate Bay, but more dates will be filling up their diary soon! How do you practice mindfulness and/or self-care? What’s your favourite way to dedicate time to yourself? * I was kindly invited along to the Anon retreat in exchange for a review, but all thoughts are my own as always.